So it's been almost three weeks since I started on the built-ins and crown molding in the sitting room and I've gotten virtually nowhere. I have: added another coat of primer, basically. There are now two coats of primer on everything (except the baseboards since those are being replaced). 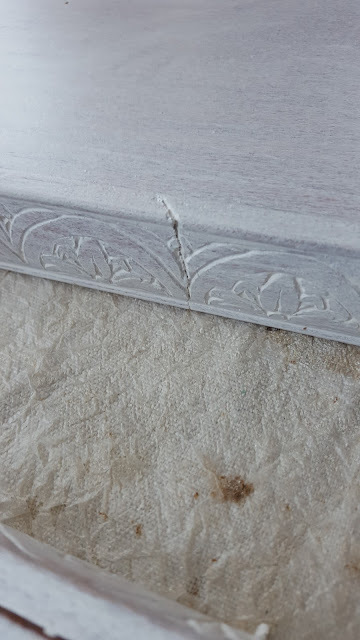 I started caulking the gaps (there are so. many. of. 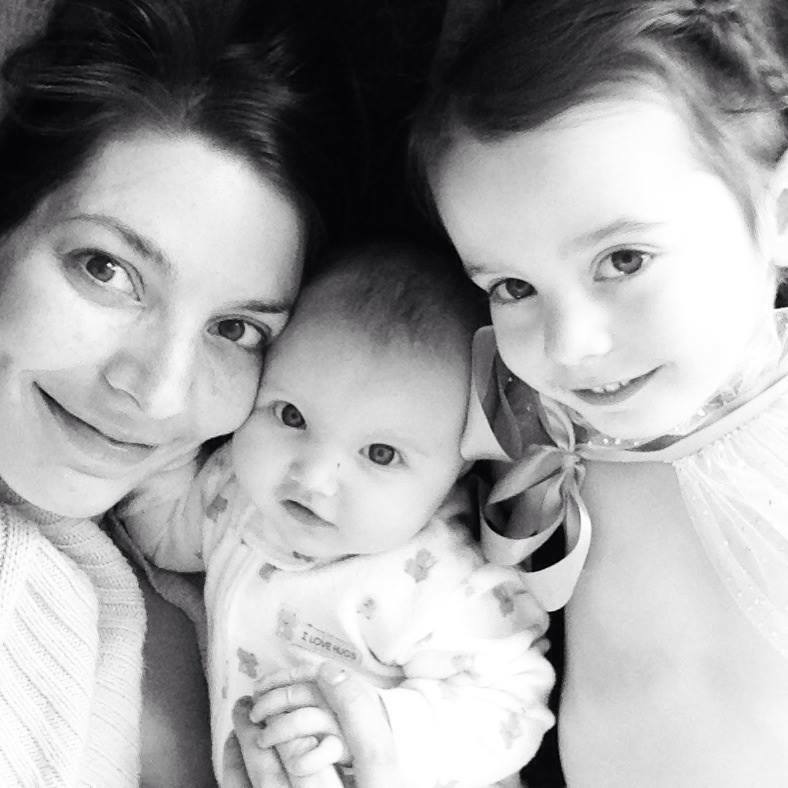 them.) and when I'm done with that, I'll start the ACTUAL painting process. I won't lie, though, at this pace that will be after Christmas. Starting the second coat of primer - you can see the difference between the first and second coat in the lower left. Also you can see the light in the middle that I knocked out of place while I was painting. Whoops. Although to be fair to me, it was held in place with screws that went into the ceiling maybe 1/4 inch. So it was hardly secure. AKA NOT MY FAULT. I keep finding irritating things like this. 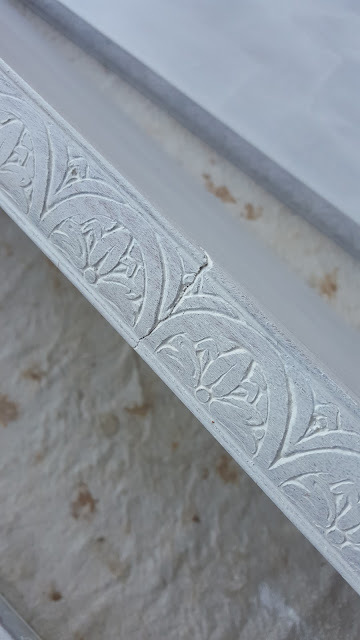 This piece of trim clearly snapped in two before being put in place,but instead of replacing it, they used it anyway and just pieced it back together. Just showing some of the detailing in the built-ins. 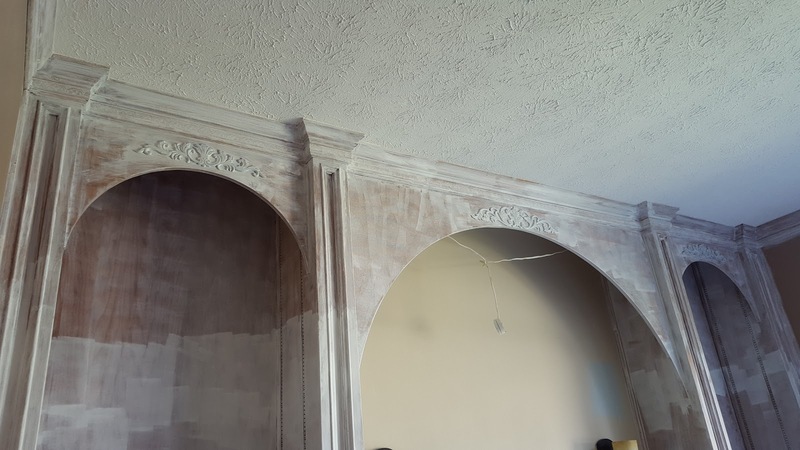 I think they're going to look incredible when they're done. On the top one you can see another irritating discovery - the back panel and side boards don't go all the way up. They stop about three inches from the ceiling....and it's very obvious when standing at the bottom and looking up. 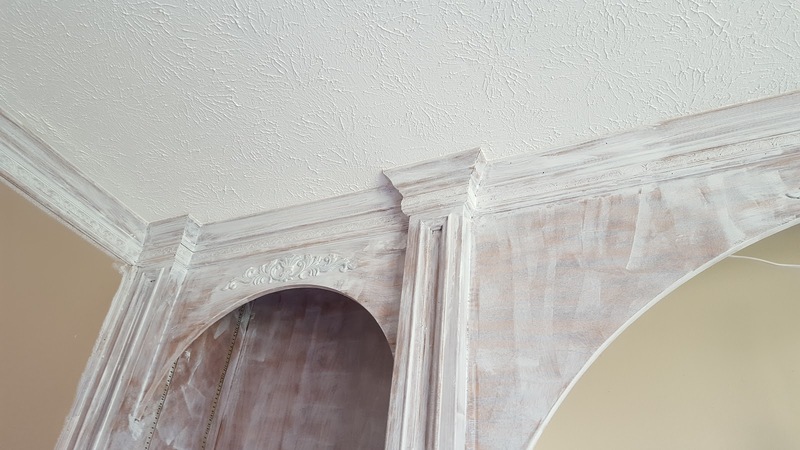 I'm going to paint that strip the same color as the rest of the built-ins to help it blend in. If you're curious, painting the crown molding has proved just as NOT FUN as I suspected it would be, what with the constant moving of the ladder and climbing up and down over and over. 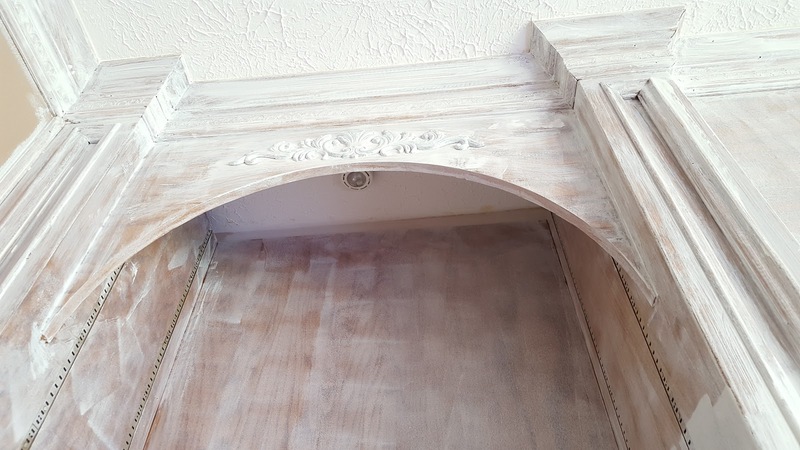 It's really hard to see in the pics, but one strip of the molding has a delicate floral pattern (the same pattern pictured in the broken trim piece above) and I'm a little worried about losing all detail in it. But part of the the dining room wall panels had a similar pattern, and they turned out just fine, so hopefully it will be okay. I'm also trying to decide what to do with that built-in wall. 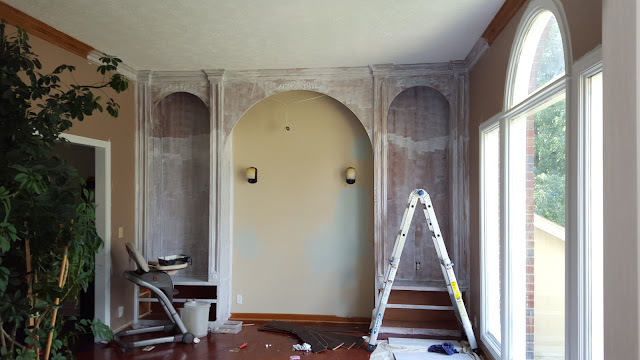 Should I do the back of the built-ins the same color as the middle wall section? If so, should I do it all white so that it looks like the middle is part of the built-in? Or paint it all the color of the dining room? 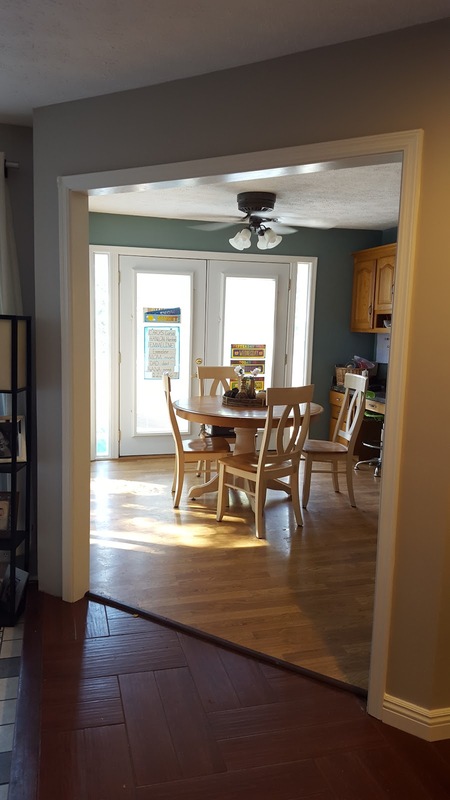 Or should I paint just the middle wall the color of the dining room and leave the rest white? MAKE MY DECISIONS FOR ME. I forgot to post about it when I was sharing an earlier update, but in other exciting-not-really news we added another Craigslist score to our furniture collection right before Carys's birthday party. One that gets used daily. And is actually probably the most-used piece of furniture in the entire house. It's a beautiful, solid wood piece that we got it for a steal. 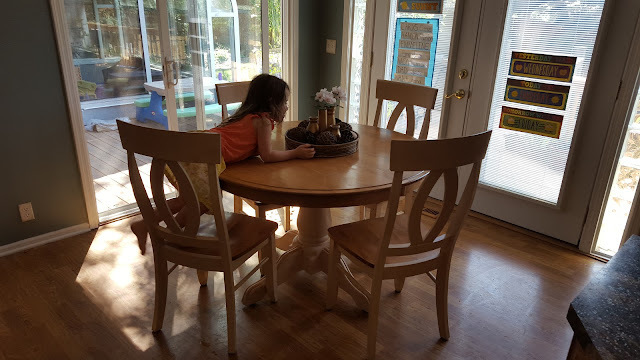 It was just $150 for the table (with two leaves. leafs?) 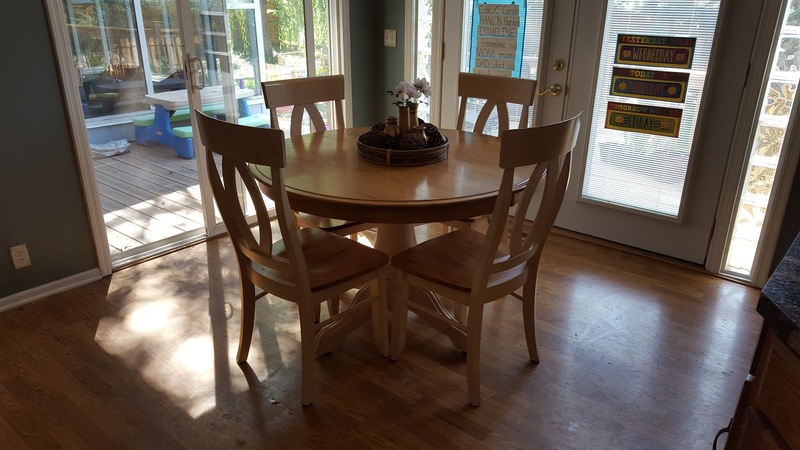 and six chairs - and I saw the same brand of table in a similar style online for $1800, not including the chairs!! 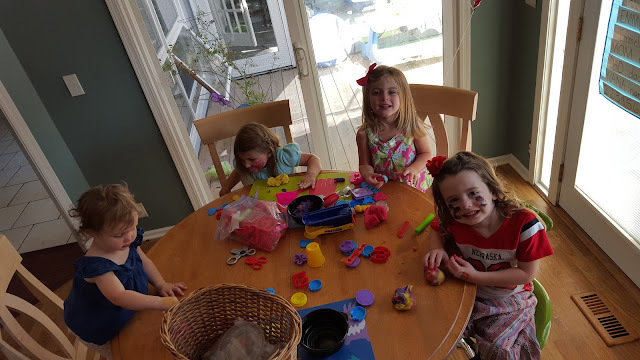 We only had one dining table when we moved here, but since this house has a space for both an eat-in kitchen table and a formal dining room, we started watching Craigslist for a second table before we even moved in. 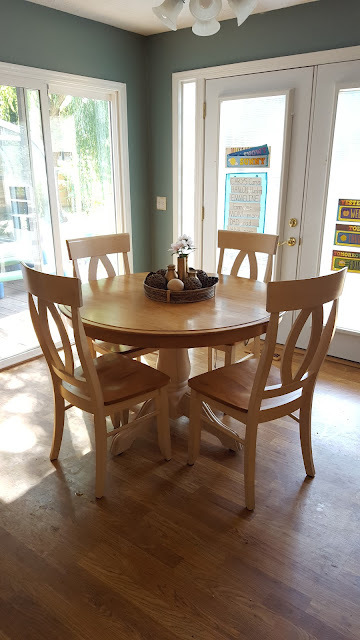 We knew we wanted a round table (I had visions of the girls scooting their chairs next to each other to collaborate on a mess project WHICH HAVE TOTALLY COME TRUE) and we wanted this one to be standard height (the other table we have - also a CL find - is bar-height, and it totally did not look right in that space). It took months of watching before this beauty popped up, and I jumped on it immediately (even though it actually took another 10 weeks before we brought it home, due to their new table being backordered at the last minute). I love that it has both lighter wood and white, which I think works really well in tying the white trim into the oak cabinets in the kitchen, and it manages not to look "country" while doing it - like many of the oak tables we saw (if I'm crazy and it does scream twang country please don't tell me and let me live with my delusion). Slowly....very very slowly....we're adding the furniture to make the house feel more like home and less like a cavernous space. Once we carpet the family room (CHRIS*) it'll feel so cozy and homey. Oh and also once the ladders and paint brushes and general construction zone part is gone. So basically in ten years. *Chris wants to put down the same engineered wood that we're planning on putting everywhere else, while I want carpet, because I feel like a family room should be snuggly and warm and cozy. I'm totally right, right?